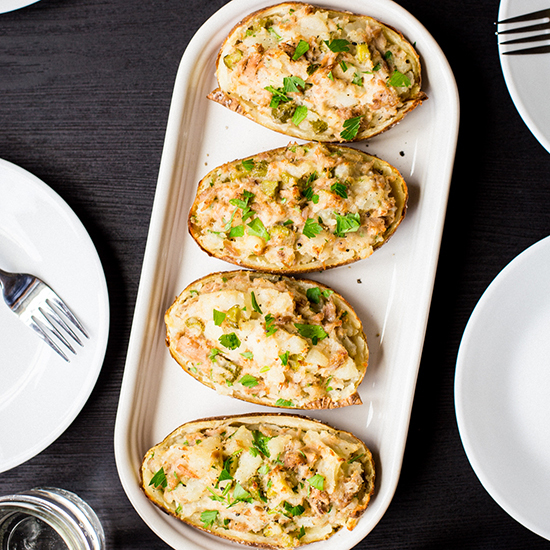 Go beyond the classic tuna salad. 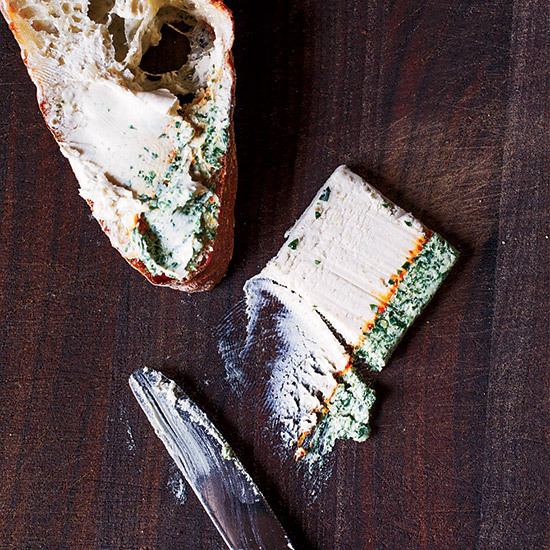 From pasta to pizza, here are nine terrific ways to use the pantry staple. 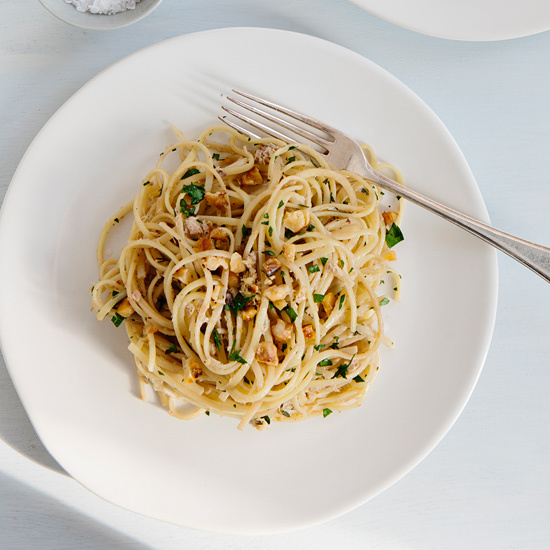 Canned tuna is excellent for quick, last-minute pasta sauces. This rich pate pairs well with thick grilled toast or raw vegetables. 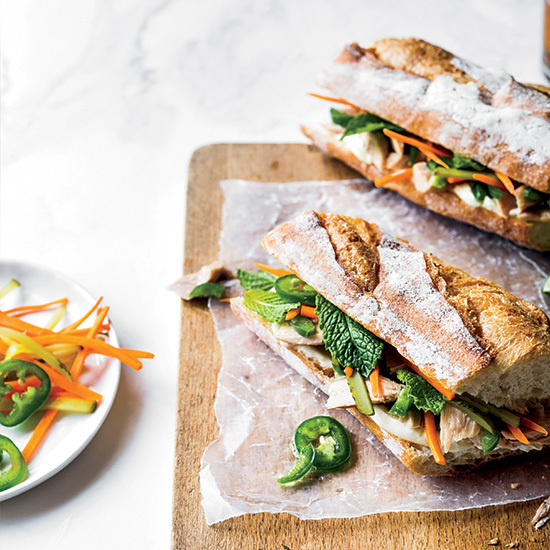 F&W's Justin Chapple makes his best-ever tuna banh mi by mixing canned tuna, lime juice, fish sauce and jalapeno and spooning it onto a crusty baguette spread with mayonnaise. 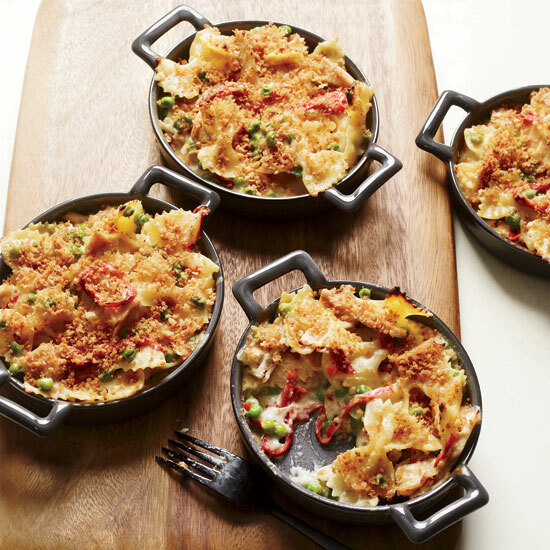 Jarred piquillo peppers and imported canned tuna from Spain add an Iberian twist to the classic American tuna casserole. 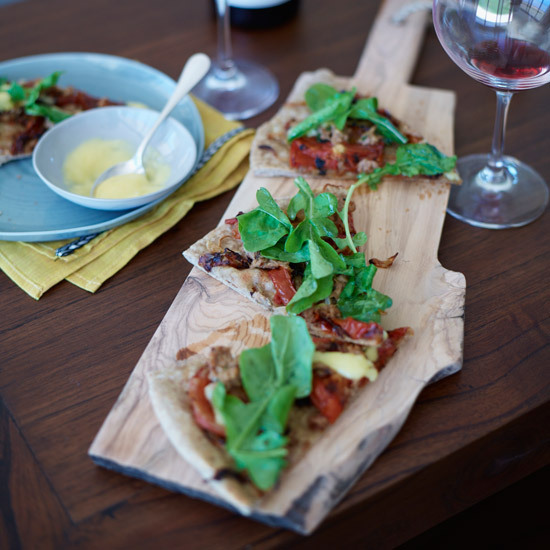 Chef Mauricio Couly tops thin, crispy pizza crusts with canned Italian tuna and garlicky aioli. This comforting potato dish features ingredients already available in most home kitchens. 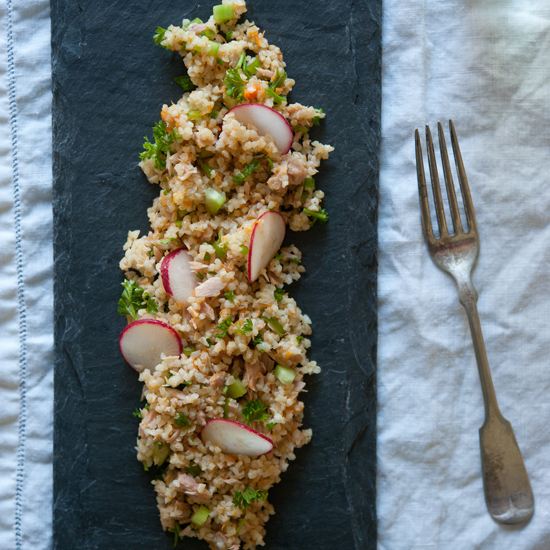 Adding tuna to this delicious Middle Eastern salad transforms it into a main course. 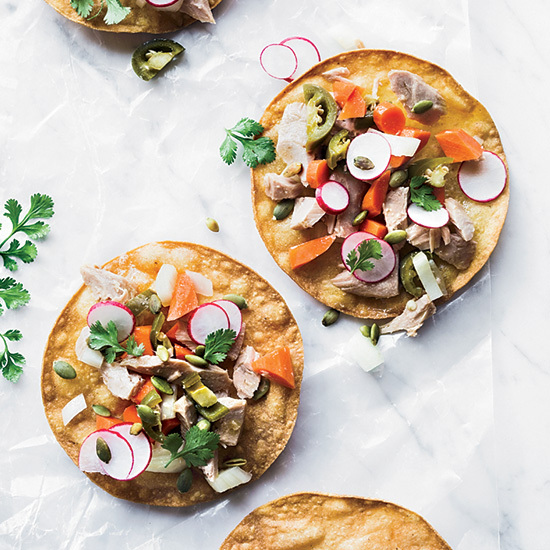 These quick and delicious tuna tostadas combine olive-oil-packed tuna with spicy pickled jalapenos and carrots. 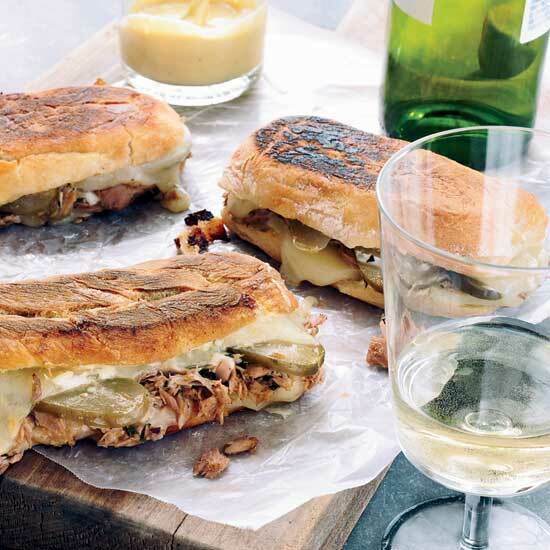 Approaching tuna-melt perfection, chef Tommy Habetz's sandwiches have the ideal tuna-to-cheese ratio. His smart idea: using balsamic vinaigrette in place of mayonnaise.